So what is "Super Hero Drums" all about? POWERFUL URBAN DRUMS, fused with creative, unique and organic recordings. 216 sounds divided into 6 folders (Kicks, Long Tuned Kicks, Snares, HiHats, Percussion Hits and Percussion Shakers). $30,000 of gear was used during production for character, warmth and detail. Each sample processed individually, heavily and CREATIVELY for INSTANT INSPIRATION. High end plugins (Softube, Soundtoys, SPL, Sonnox, Brainworx, EMI, Waves...) used throughout the processing chain for maximum impact. ATTENTION-CATCHING DRUMS WITH CHARACTER AND PUNCH. Next, I took these recordings and processed and layered them with crunchy 12 Bit machine drums, carefully recorded acoustic drums, processed vinyl samples and all kinds of percussion. The end result is a sample pack that is so fresh and unique, that you will be inspired for new fresh beats from the moment you skip through the drums for the first time. On top of that, these drums will help your beats stand out of the masses of mediocre uninspiring productions, so you can get the attention you deserve. But don't take my word for it. Listen to the demos above to show you what this kit can do!! ...perfect for any kind of Hip Hop, R&B and Modern Pop and it’s absolutely 100% unique and attention-catching! In total there are 216 sounds divided into 6 folders (Kicks, Long Tuned Kicks, Snares, HiHats, Percussion Hits and Percussion Shakers)"
...AND MY EXCLUSIVE EBOOK "KILL PRODUCERS BLOCK TODAY! - 33 Proven Tactics To Finish Your Best Song in Half The Time"
Organic and in your face "Claps & Snaps", that give your beats an extra dose of punch and sonic richness. Machine and human claps and snaps processed to perfection. Totally unique "Special Percussion", that have been processed and bended so deeply you won't recognize the original sound sources. These sounds are perfect to add extra spice to your productions. With "SUPER HERO DRUMS - SUPERHERO EDITION" you get ahead of the game with a total of 286 creative drums. When you invest in the "Super Hero Drums" Superhero Edition you also get my Ebook "KILL PRODUCERS BLOCK TODAY! - 33 Proven Tactics To Finish Your Best Song In Half The Time". We all know these frustrating and energy sucking situations when we are running out of ideas and get stuck in the middle of creating a banging beat or great song. To be able to produce beats and songs successfully it is important that you reduce producers block (or creative block) situations to a minimum, so you can finish your beats and songs faster and create more of them while having more fun doing so. In the book I reveal 33 strategies and tactics that help you get back on track fast whenever you get stuck in the music production process. Even more importantly you will learn simple strategies that help you prevent producers block in the long run, so you can have the most flawless, exciting and successful beat making and song writing experience. 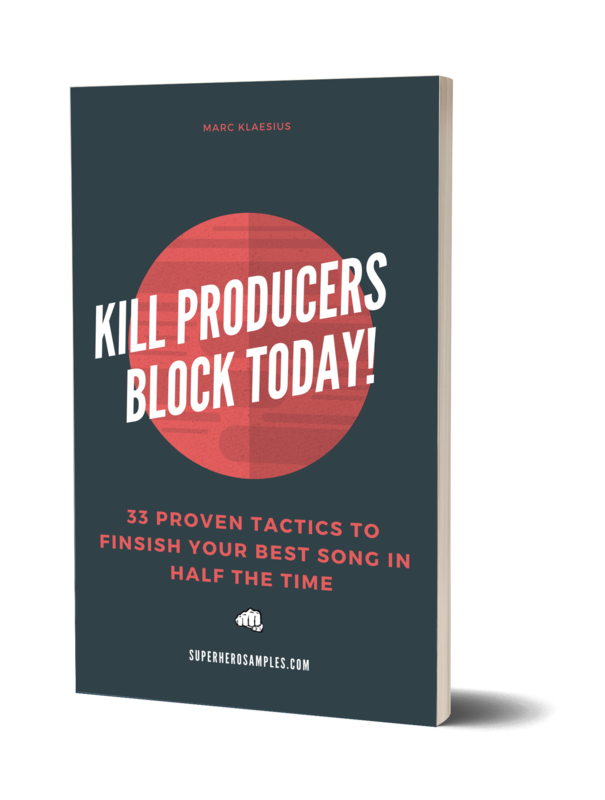 Put your production on steroids and learn how to eliminate producers block starting today. BASIC EDITION: 216 sounds divided into 6 folders (Kicks, Long Tuned Kicks, Snares, HiHats, Percussion Hits and Percussion Shakers). SUPERHERO EDITION: 286 sounds divided into 8 folders (Kicks, Long Tuned Kicks, Snares, Claps & Snaps, HiHats, Percussion Hits, Percussion Shakers and Special Percussion). SUPERHERO EDITION: Exclusive Ebook "33 Ways to Eliminate Beat Block...And Become The Best Producer You Can Be""
WARM SOUND and MAXIMUM PUNCH through the use of world class plugins throughout the processing chain. Your download links will appear immediately after checkout, so you can start putting your samples into action within the next minutes. In addition you will receive an email with the download links for safe-keeping. With our secure and convenient checkout, you can pay with PayPal or Credit Card. To choose PayPal, simply click the PayPal logo in the cart. To pay with credit card simply click the blue “Checkout” button in the cart. 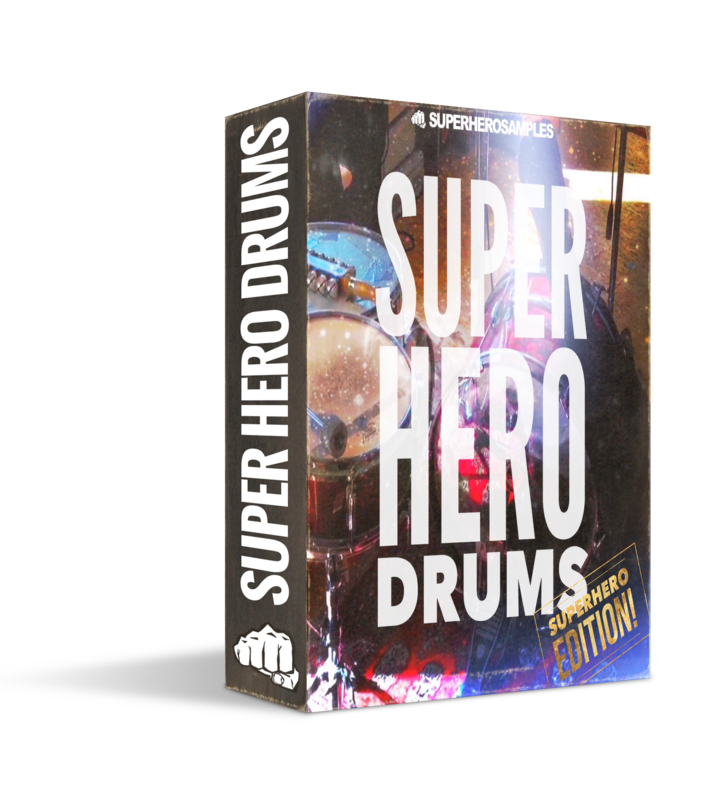 I strongly believe that Super Hero Drums is so good, that you will fall in love with the sounds, once you start using them in your productions. But if, within the 60 day guarantee period, you decide that Super Hero Drums is not for you, send a quick note to marc[at]superherosamples.com and you will receive a promt refund. Choose Your Edition And Click the Orange "BUY NOW" Button. 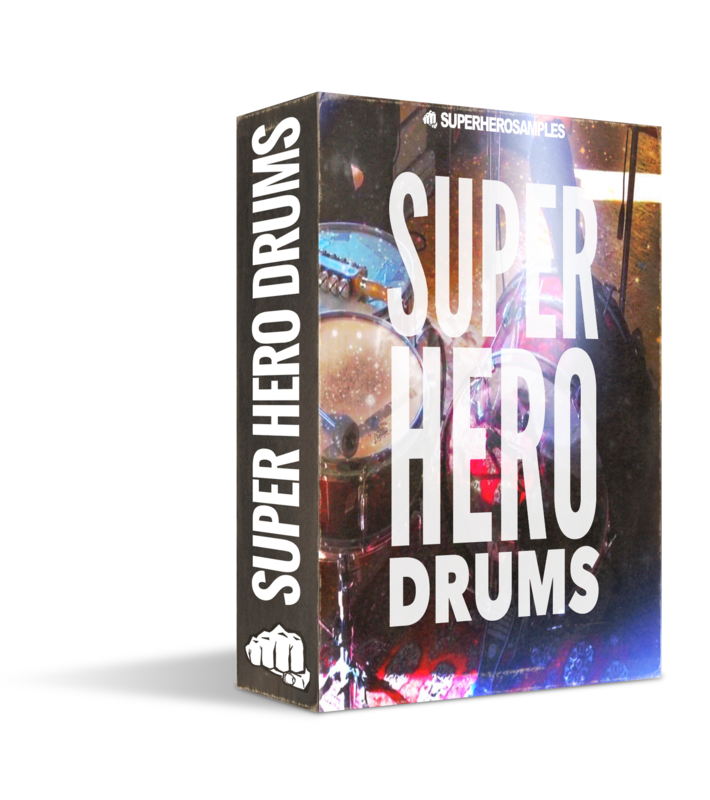 Hey, I'm looking forward to see you on the "Super Hero Drums" side of music production and can't wait to hear how you are putting these awesome samples into work with your tracks. P.S. Your download links will appear immediately after checkout, so you can start putting your samples into action within the next minutes. In addition you will receive an email with the download links for your safe-keeping. P.P.S. Whenever you have a question or need help, please don't hesitate to send me an email at marc[at]superherosamples.com. I reply to every email - guaranteed. My mission is to help you become the best producer you can be.